This statistic shows Facebook's federal lobbying expenses as of the fourth quarter of 2018. As of the last filing period, the social network invested 2.83 million U.S. dollars to promote its interests in the United States. 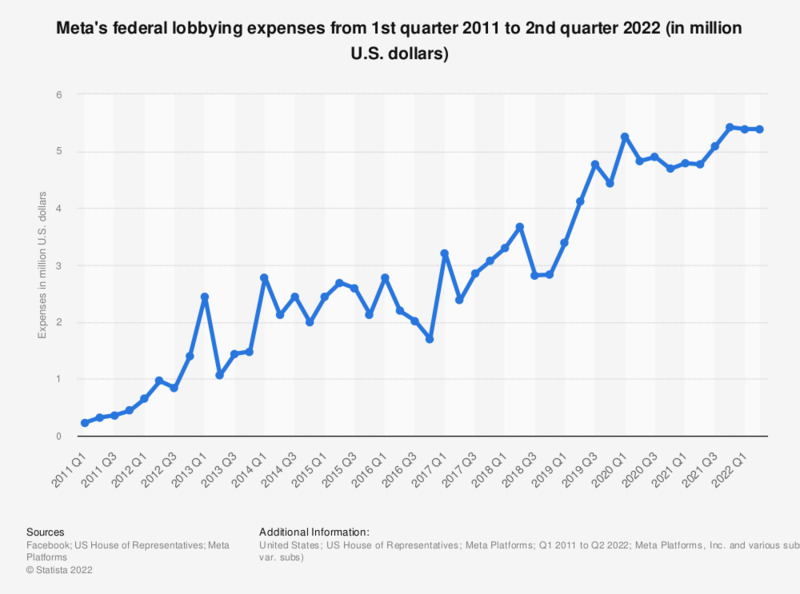 Facebook's Q3 2012 lobbying expenses were amended from 980,000 U.S. dollars to 840,000 U.S. dollars on April 2, 2013.